Having a 2,000 km coastline, this large Mediterranean island has an abundance of secluded sandy beaches, dramatic mountainous peaks all steeped in a rich cultural history and all waiting to be discovered with seductive, charming, thrilling private guided tours Sardinia. Throughout the island, culture tours Sardinia will show you the many structures and towers that tell the story of the ancient Nuragic civilization that lived in the Bronze Age. Take a trip to La Maddalena National park with a full-day Sardinia boat tours and enjoy the wildlife, beaches and the amazing fish species to be found when you snorkel in the azure waters. See first-hand the beauty of the fabled Costa Smeralda with guided cycling tours Sardinia and take a journey along the fabulous coastline before heading high up into the mountains in the Galleria region. No trip to Sardinia would be whole without a visit to one of the many vineyards. Sardinia wine tours will introduce you to the quality wines as you explore the winery and cellars that are a mainstay of Italian heritage. 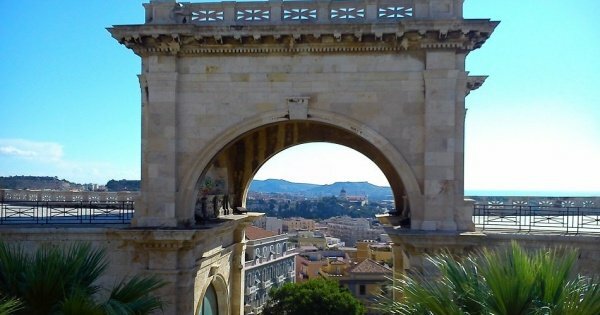 Step back in time and discover Cagliari's history, nature and its best attractions in order to enjoy the best of the city in a very less time.